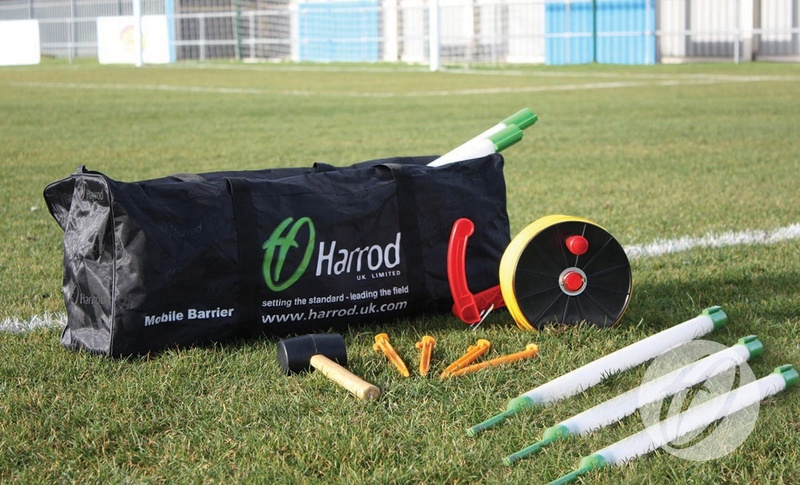 Temporary mobile touchline barrier system. Uprights complete with caps and spikes, manufactured from PVC and designed to be positioned every 9m, this set will span 90m. System spans 90m x 750mm high. Ten white 31mm diameter x 2.5mm thick PVC poles with green caps & spikes. One handheld winding reel and 2 x 45m webbed straps. 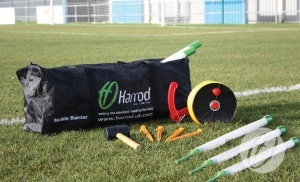 The set comes complete with carry bag, webbed strap, handheld winding reel, pegs and mallet. Q: What is the width of the tape for the BAR-001 system?